The new technique is the first of its kind that’s safe to use around humans. |SOURCE| Lasers can send sounds straight to a listener’s ear, like whispering a secret from afar. Using a laser tuned to interact with water vapor in the air, scientists created sounds in a localized spot that were loud enough to be picked up by human hearing if aimed near a listener’s ear. It’s the first time such a technique can be used safely around humans, scientists from MIT Lincoln Laboratory in Lexington, Mass., report in the Feb. 1 Optics Letters. At the wavelengths and intensities used, the laser won’t cause burns if it grazes eyes or skin. The scientists tested out the setup on themselves in the laboratory, putting their ears near the beam to pick up the sound. “You move your head around, and there’s a couple-inch zone where you go ‘Oh, there it is!’… It’s pretty cool,” says physicist Charles Wynn. The researchers also used microphones to capture and analyze the sounds. The work relies on a phenomenon called the photoacoustic effect, in which pulses of light are converted into sound when absorbed by a material, in this case, water vapor. Based on this effect, the researchers used two different techniques to make the sounds. The first technique, which involves rapidly ramping the intensity of the laser beam up and down, can transmit voices and songs. “You can hear the music really well; you can understand what people are saying,” says physicist Ryan Sullenberger, who coauthored the study along with Wynn and physicist Sumanth Kaushik. That sound, however, is audible anywhere along the beam, rather than being targeted to just one person. So the researchers devised a second method that could localize the sound to one spot: Using a rotating mirror, the researchers swept the laser beam in an arc, like swinging a flashlight beam with a flick of the wrist. The farther down the beam, the faster the spot of light swings. The noise occurs only at the distance along the beam where the light zips by at the speed of sound. This technique can’t yet send complex messages: It sounds somewhat like a buzzing insect. 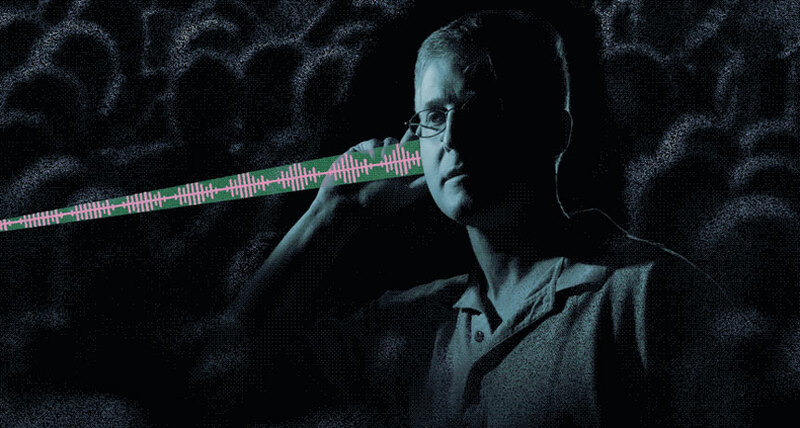 With future work, the researchers aim to improve this targeted method to send detailed audio messages as well as increase the distance over which it works. So far, the sounds can be sent several meters in the lab. For now “it’s not as much a practical means of communication, but a very neat demonstration proving the power of photoacoustics,” says applied physicist Jacob Khurgin of Johns Hopkins University. If perfected, such laser messages could be used to communicate in noisy environments or to warn people of danger, for example, in an active shooter scenario. More prosaic uses might be listening to a TV headphone-free without disturbing others.